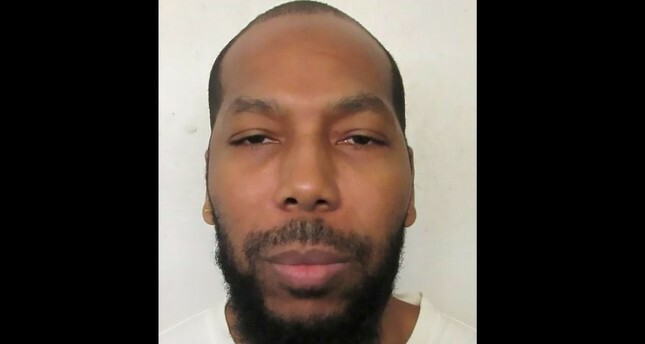 A Muslim inmate who filed a legal challenge because Alabama wouldn't let his Islamic spiritual adviser be present in the execution chamber was put to death Thursday after the nation's highest court cleared the way. Ray had argued Alabama's execution procedure favors Christian inmates because a Christian chaplain employed by the prison typically remains in the execution chamber during a lethal injection, but the state would not let his imam be there in the room. Ray's imam, Yusef Maisonet, watched the execution from an adjoining witness room, after visiting with Ray over the past two days. There was no Christian chaplain in the chamber, a concession the state agreed to make. Justice Elena Kagan wrote in a dissent that she considered the decision to let the execution go forward "profoundly wrong." Alabama Corrections Commissioner Jeff Dunn said this is the first time the state has had an objection to the chaplain's presence. He said the state will review procedures to determine if something needs to be changed. It was Alabama's first execution of the year. Ray was convicted in 1999 after another man, Marcus Owden, confessed to his role in the crime and implicated Ray. Owden told police that they had picked the girl up for a night out on the town and then raped her. Owden said that Ray cut the girl's throat. Owden pleaded guilty to murder, testified against Ray and is serving a life sentence without parole. Ray's attorneys had also asked in legal filings to stay the execution on other grounds. Lawyers said it was not disclosed to the defense team that records from a state psychiatric facility suggested Owden suffered from schizophrenia and delusions. The Supreme Court also rejected the request. "Domineque was a devout Muslim and a human being. He was a son, a father, a brother. He wanted equal treatment in his last moments," Hahn wrote in a statement. Ray's legal team said his first name was Domineque. The prison system used a different spelling, citing court records. "For 20 years, Domineque Ray has successfully eluded execution for the barbaric murder of a 15-year-old Selma girl. ...Tonight, Ray's long-delayed appointment with justice is finally met," Marshall said.